A range of Wheelchair wheels and wheelchair castor wheels available in six sizes, suitable for use as uk wheelchair wheels or for wheelchairs spare parts. 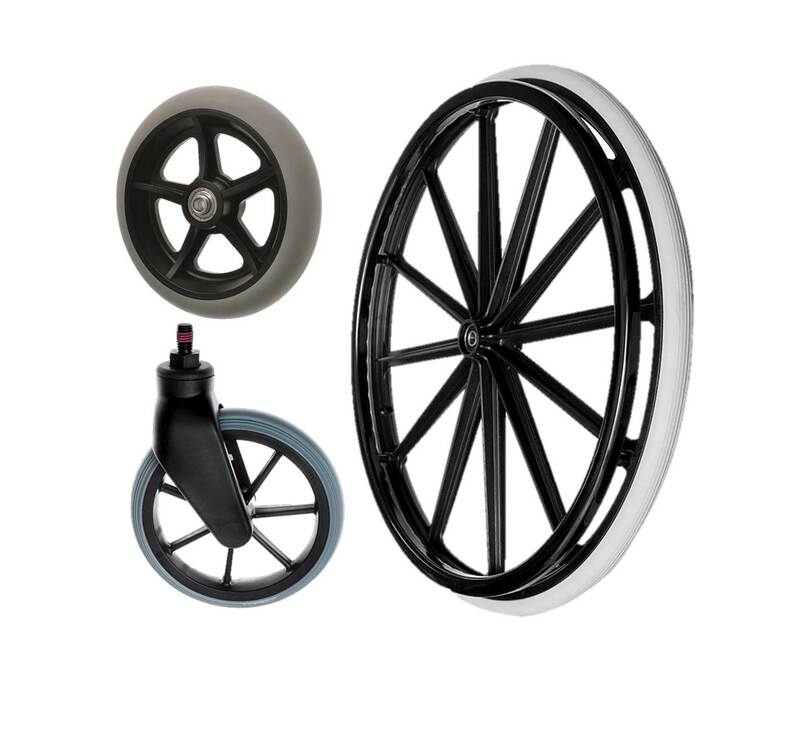 We offer the large wheelchair wheels with hand grips as well as replacement wheelchair castor wheels. Browse our range as we offer 6 different wheel options. Wheelchair wheels are ideal as replacement wheel chair wheels. These wheels are medium duty non marking rubber wheels fitted with ball journal bearings for ease of movement. We can offer 6 different wheelchair wheel sizes, the largest being the 610mm diameter rear wheelchair wheel. The smaller sizes are ideal for a variety of medical applications. Team up with our 2 sizes of wheelchair castors, ideal as replacement front wheels for wheelchairs.